Do you know of any man that uses any skincare products? Men have skincare needs just like we do but my husband will never walk up to a beauty counter to purchase any kind of skincare product. He has been curious with the products I have been using and has been trying out some of my moisturizers. I was glad that he received the Sanctum Men’s line to try out. 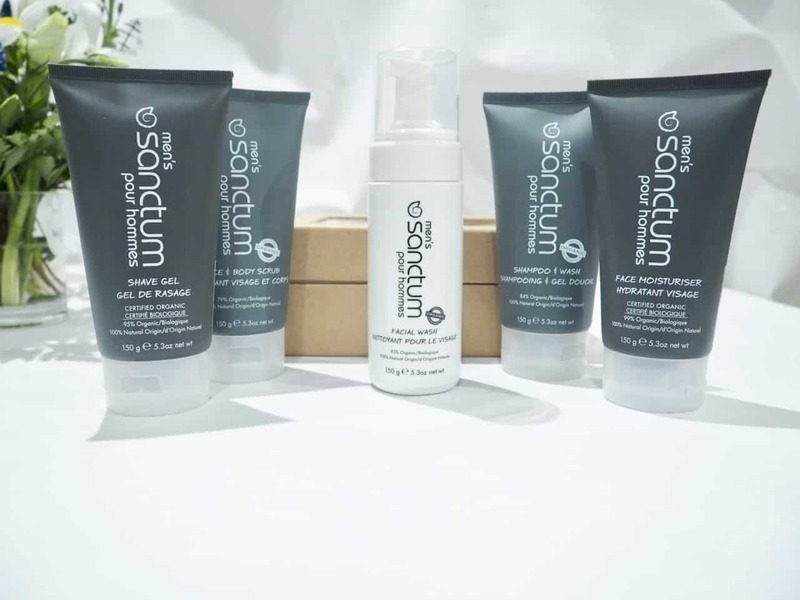 Sanctum is an organic skin care line for men. Let’s face it, men don’t want to use products that leave them smelling like flowers or any pink packaging. The packaging of the Sanctum is simple and sleek, very masculine. 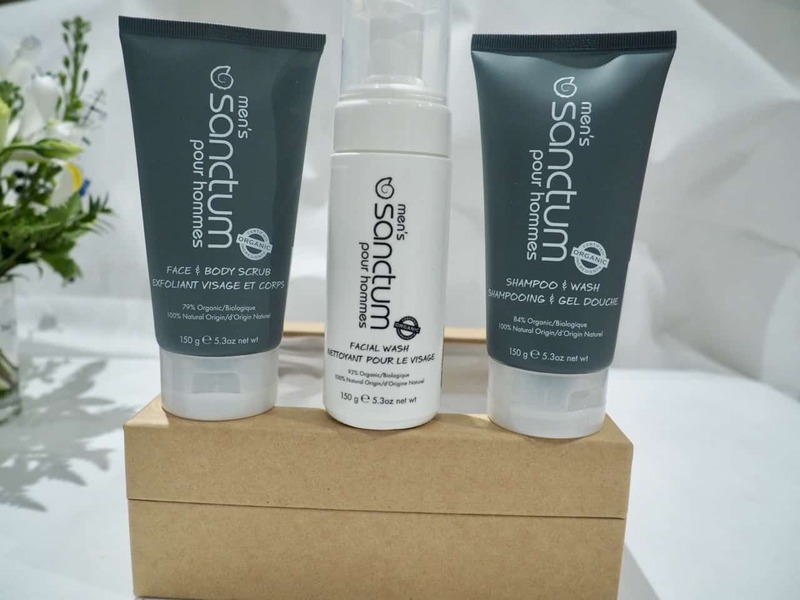 Sanctum Men’s offers pure, Certified Organic products. The men’s grooming range is infused with the masculine aroma of cedar wood and sandalwood. 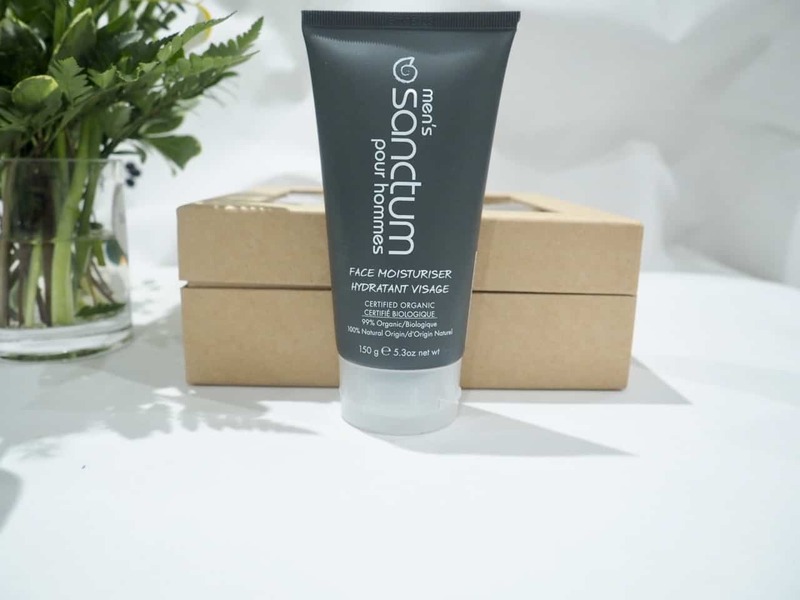 They are formulated to cleanse and repair the skin, while providing 2 in 1 body and face products for a simplified regime because if it’s too complicated he’s not using it! Certified Organic by USDA and OFC, Certified Cruelty Free, Vegan, and all natural. I love that the packaging is recyclable and made from post-consumer recycled material. All tubes are made with a special enzyme so packaging is completely biodegradable, breaking down in landfill within 5 years – a revolutionary breakthrough in packaging! 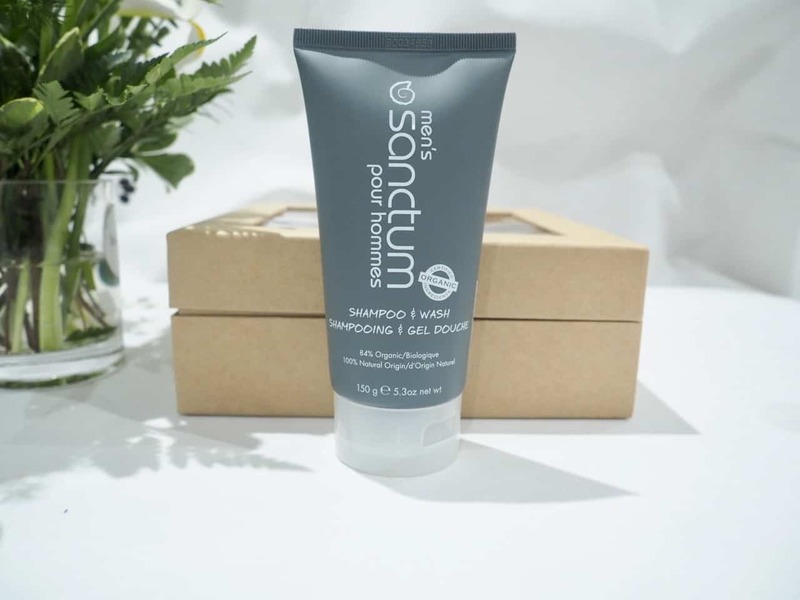 Sanctum Men’s Shampoo and Wash is a soap free, hair and body cleanser designed to remove daily dirt and grime while leaving the body with a long-lasting masculine woody scent. The cleanser has olive leaf extract that nourishes and calms the skin and is believed to have cell-regenerative capabilities. It leaves the skin and hair clean and soft. 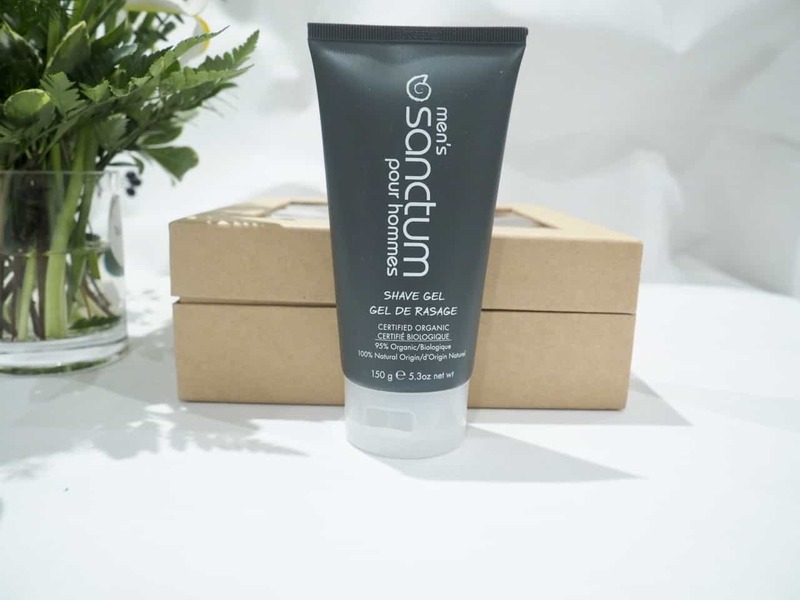 Sanctum Men’s Face and Body Scrub assists in removing dead skin cells and helps in loosening ingrown hairs from the face in preparation for shaving. This moisturizing gel haps to balance the natural oils in your skin. It is formulated to help calm and soothe irritated skin, leaving it feeling cool and hydrated. I think a moisturizer is so important for men even though most probably don’t use it. Especially formulated for men’s skin, Sanctum Men’s Facial Wash is designed to remove dirt and oil from men’s deep pores. All while maintaining skin’s moisture balance. I’m pretty sure my husband has been using bar soap to wash his face – we all know how drying that can be. He says he can feel the difference using this face wash. This is asoap-free shave gel that is designed to life the hairs on the face to achieve a closer shave. It is formulated with soothing organic extracts that help calm reddened and irritated skin while essential oils leave the skin smooth, hydrated and nourished. I can feel the difference in my husbands skin. It is much softer. Does your man have a beauty routine that he doesn’t want anyone to know about or is he a bar of soap kind of guy? 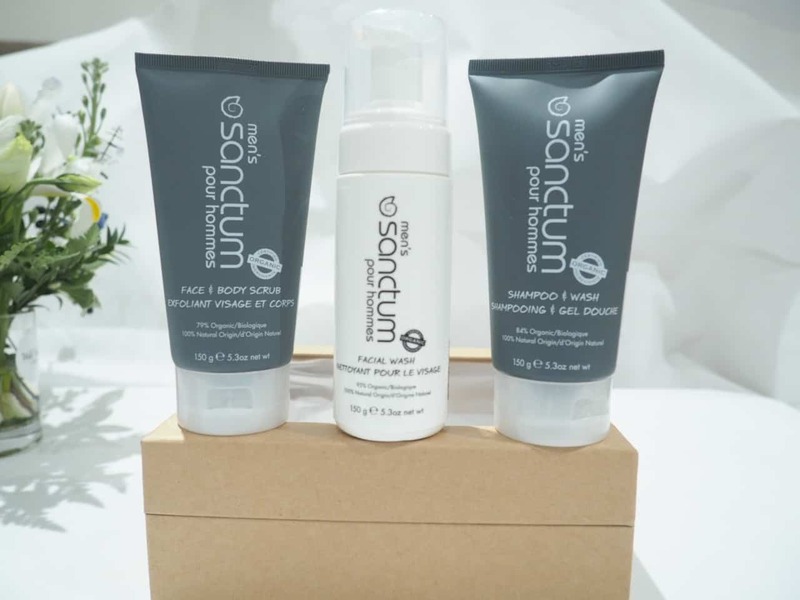 Check out Abundance Naturally for the entire Sanctum skincare line.